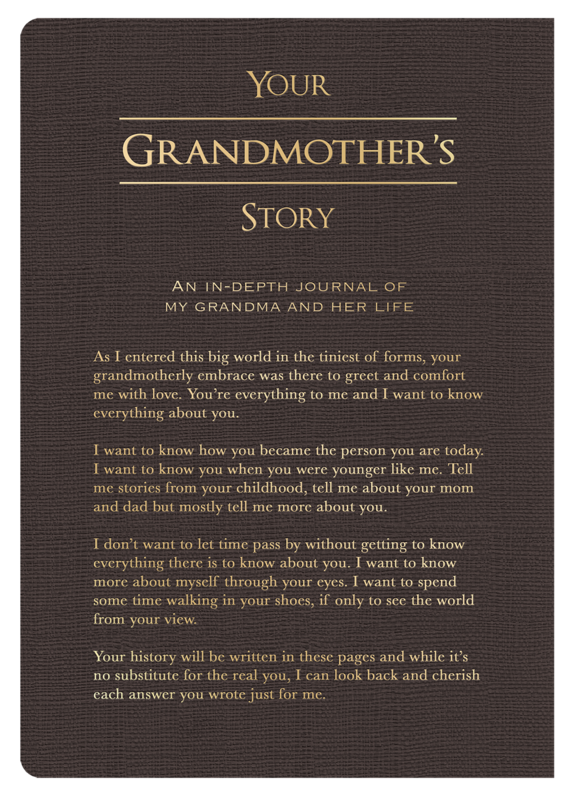 Have you ever wondered how your grandparents met each other? 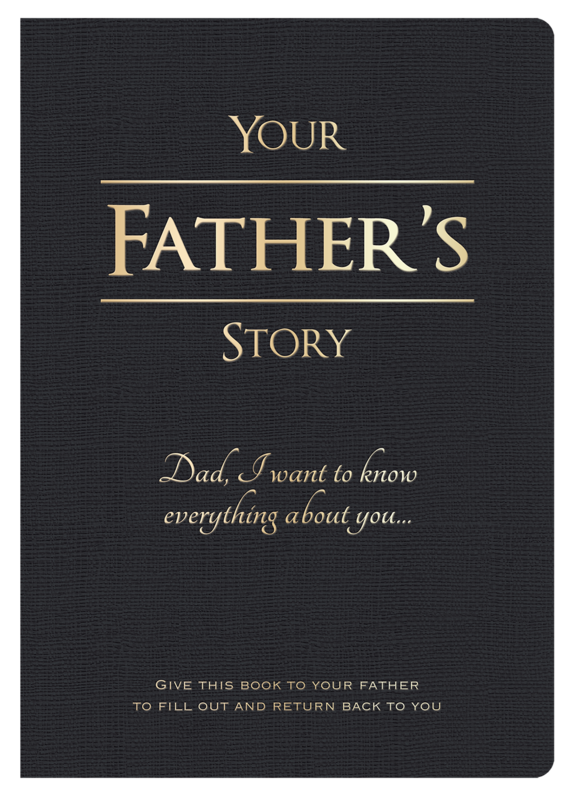 What advice your dad valued the most from his parents? 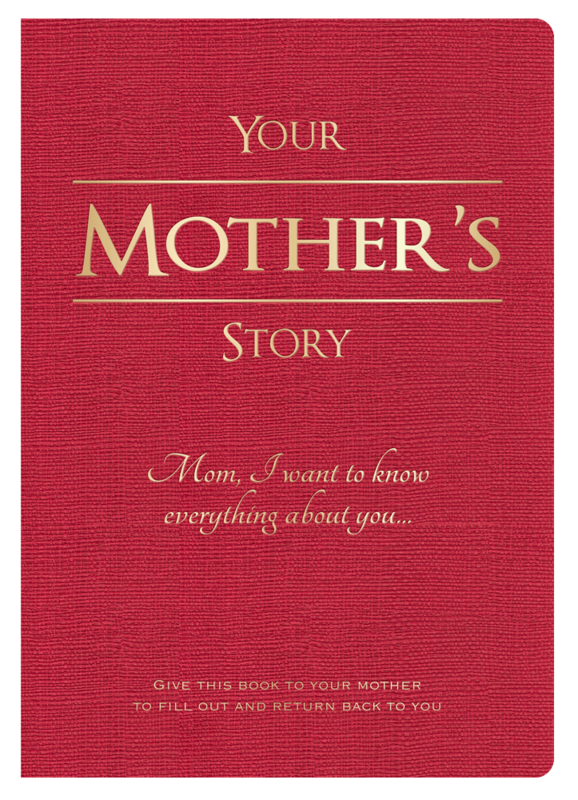 Or did your mom have any funny habits? 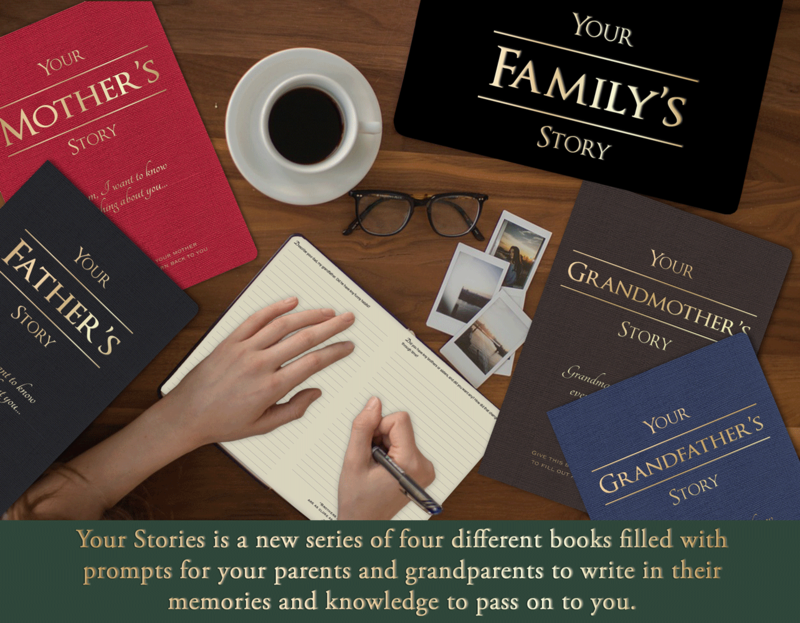 Your questions can be answered with our four new books: Your Stories, each different and directed to a specific family member. 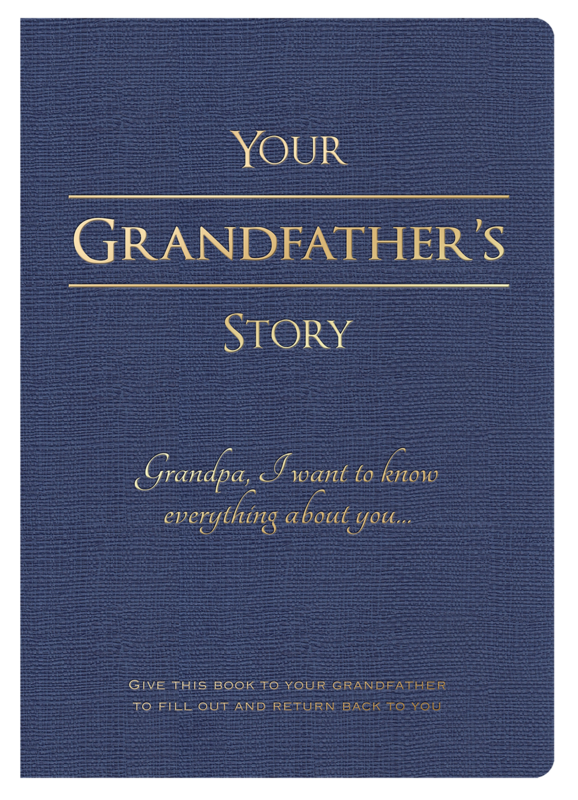 They are filled with prompts for your parents and grandparents to write in their memories and knowledge to pass on to you, give you insight to their lives and experiences that have helped shape them and in turn, help shape you. 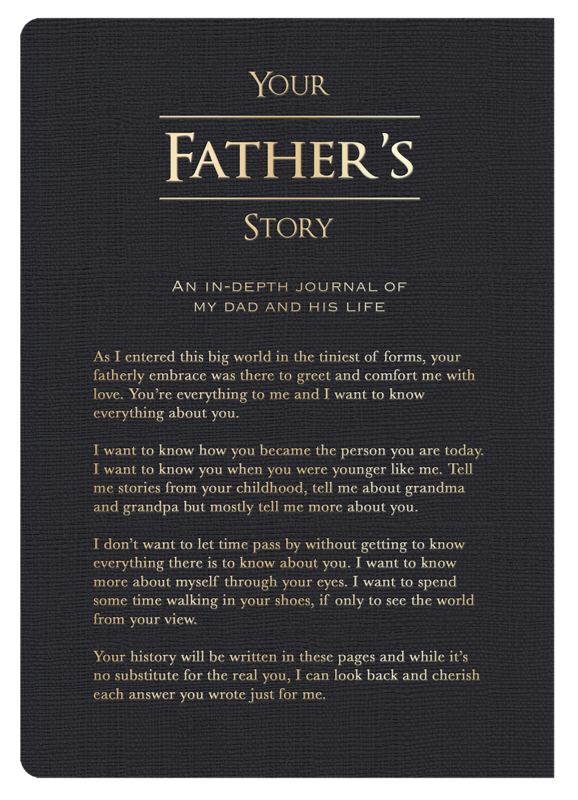 Walk in their shoes and get to know everything about them. 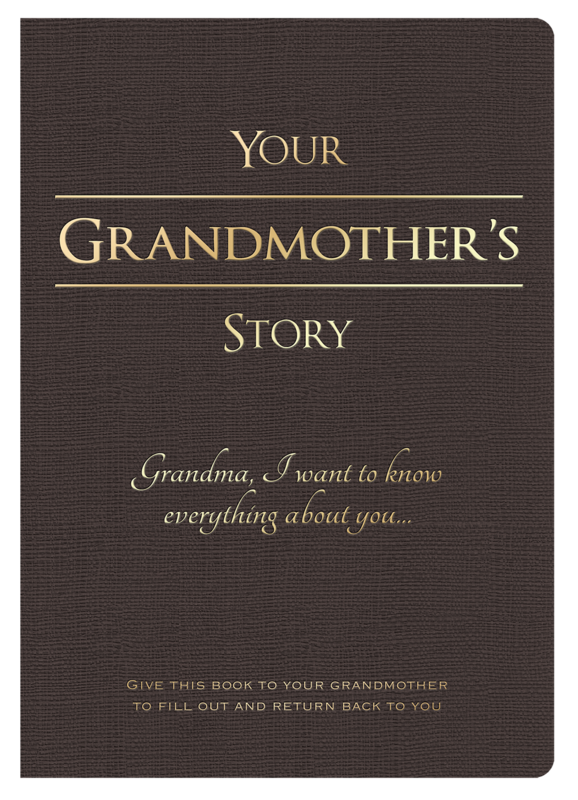 Each story has its own color: Fire Brick Red, Charcoal Grey, Cinnamon and Garden Green, with a beautiful gold foil stamping. 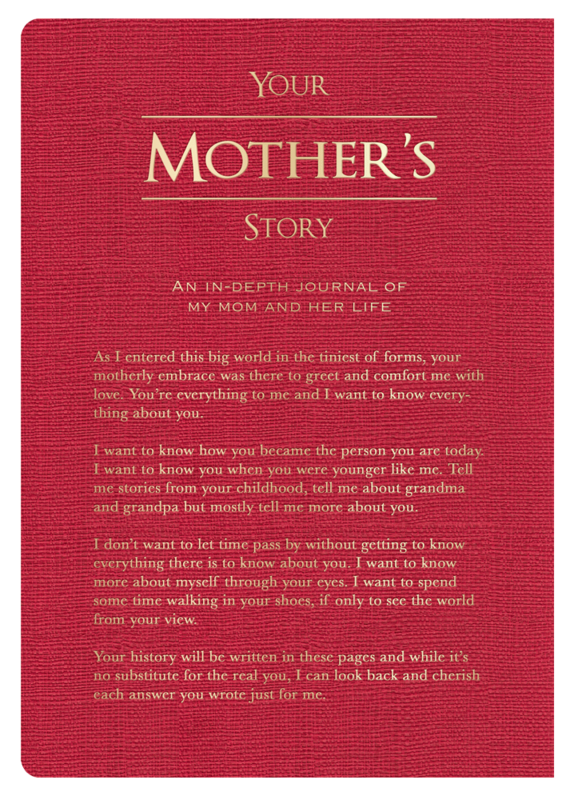 The prompts are divided into six chapters where the writers can dive into their lives from youth to old age. 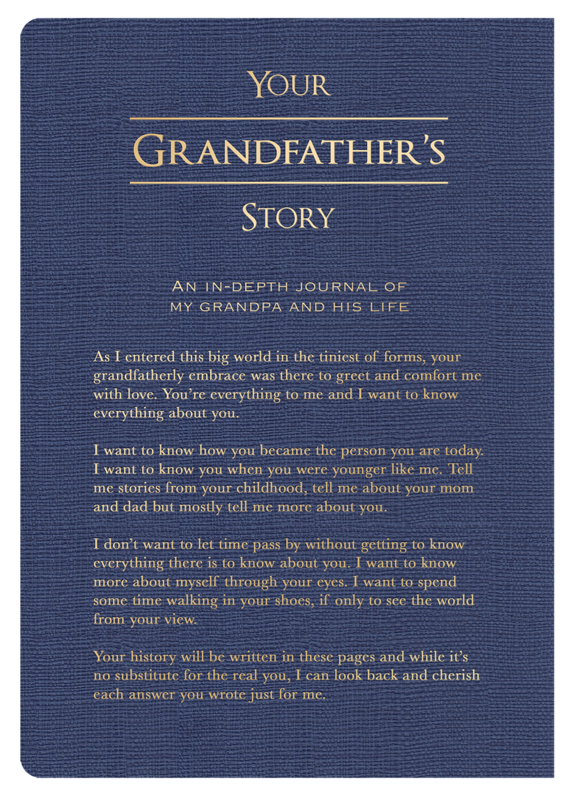 Strewn throughout the journal are inspirational quotes as a reminder to treasure the moments, to remember what was and have the courage to pass it forward.